Sell Your House For A Fair Price Because We Buy Houses For Cash Etobicoke, Toronto, ON. If You Need To Sell A Property Fast, Then I’ll Give You A Fair Written Offer In 24 Hours. We Have Funds Ready Now. Even if your property needs repairs or remodeling, you’ll get a fair offer from us. Because our team will do any fixing after we buy it. Our home buying process is easy and simple. You won’t even have to pick up a broom. Do you need to stop a foreclosure? Are you going through a divorce? Do you need to relocate? Fell behind in mortgage payments? Have you inherited a property that you cannot keep? We help homeowners who are facing these types of problems. No matter the situation that is causing you stress, we can help. Because we buy houses for cash Etobicoke. Do You Need To Sell My House Fast In Etobicoke, Toronto, ON? You can sell your home now. No waiting. No fees. We have funds available today. Has life started to become more difficult? Have you run into some stressful life events? Behind in mortgage payments? Facing foreclosure? Inherited a house and want cash instead? Don’t have the time, energy, or money to fix your property? That’s why we buy houses for cash Etobicoke. Maybe we can help by giving you a fair written offer to buy your Etobicoke, Toronto property. Our crews can do all the cleaning and repairs and painting that it may need. You get cash at closing and will no longer be tied down with that property. If you have a property that has become a hassle to own, then let us give you a fair all-cash offer to buy it. You can bypass the long waiting time that comes with listing it with a real estate sales agent. And we buy houses “As-Is” so you won’t have to do any repairs. You can talk to someone at our office by calling (647) 848-7790. 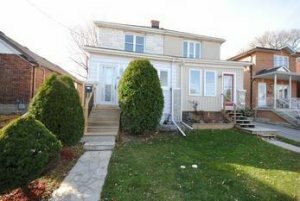 Would An Investor Buy My House In Etobicoke, Toronto For Asking Price?